An exhibition called “Yarber Utrecht”, focused on the construction and real estate industry is held twice a year at the exhibition and convention center in Utrecht (the Netherlands). This is one of the main exhibition sites in the country. Home Expo has been held since 2001 and has an average of 150 exhibitors, making it one of the largest in the world. The organizer is VNU Exhibitions Europe. This year's large-scale event is scheduled for September 28 - 30. The doors of the exhibition hall will be open from 10am to 6pm. Participants include legal and tax advisers, real estate rental agencies, as well as companies that are engaged in the construction of recreational real estate and new developments in this area. This year Grekodom will take part in an exhibition in the Netherlands in Utrecht. The company's management will attend the company's stand. During the exhibition representatives of Grekodom will present a presentation of the Kriaritsi project. Visitors will be able to learn about new products in the field of Greek and Cypriot real estate and get advice on the issues of interest. Find the company's stand (C16.3) will be on the chart. Every year the interest in the Second Home Expo grows more and more. If in 2014 only 4824 people came to the exhibition, then after two years the visitors were already 5258. In 2017 the number of guests at the international event increased to 7279 people. According to the statistics gathered by the organizers of the exhibition, 86% of the participants of the Second Home Expo have booked seats at the upcoming event. 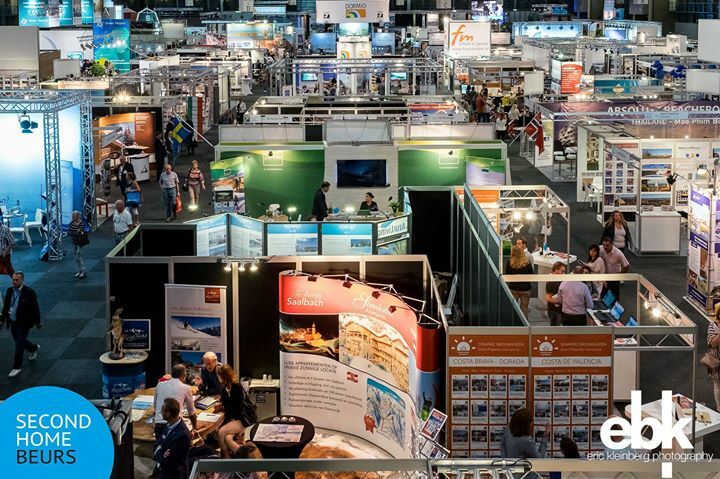 And more accurate data: 42% of visitors to the exhibition make a purchase of real estate within one year, and 84% of guests recommend Second Home Expo to their friends and acquaintances who want to purchase an ideal property abroad to use it as an investment object, second home or residence for a seasonal holiday. For visitors to the exhibition, comfortable conditions for rest are created: a restaurant, a wine bar, and a cozy coffee house. During the event, seminars will be held in separate equipped rooms. In the whole territory of the expo-zone, there is free Wi-Fi.